I've been wanting to photograph a wedding at Louisville's 21c Museum Hotel for literally the last decade, so when Jessica & Arnaud shared their plans for an intimate rooftop ceremony followed by dinner in the art galleries I freaked out just a little bit. Jessica's BHLDN gown was minimal and gorgeous (and it had pockets!) and Merci Bouquet did a stunning job with the florals! I love how they incorporated an elegant, subtle nod to fall. 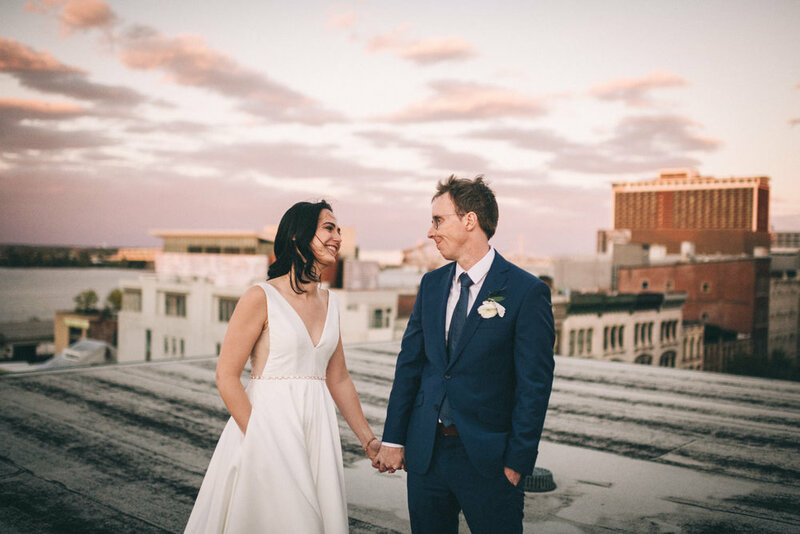 Jessica & Arno met last year in Spain at a friend's wedding— Jessica is from Louisville and Arno is from Luxembourg, so they got to know each other through hundreds of text messages, video chats, and meetups in New York. They paid homage to their initial meeting by using sand from San Sebastian during their ceremony. The ceremony itself was romantic, heartfelt, and bilingual! I loved getting to practice my French listening for words I knew. One of my favorite things throughout the day was the way Arno lightly touched Jessica's back or arm as they chatted with friends and family— it was such a small simple gesture that spoke volumes. My dear friend and calligraphy artist Michelle first connected Jessica & myself. She also did the gorgeous welcome sign, guestbook sign, and the name cards for the tables. She is talented and sweet and wonderful - you can find her on Instagram as Michelle Marie Calligraphy. If you are looking for more intimate wedding inspiration, Jess & Brian's treehouse elopement was incredibly sweet. 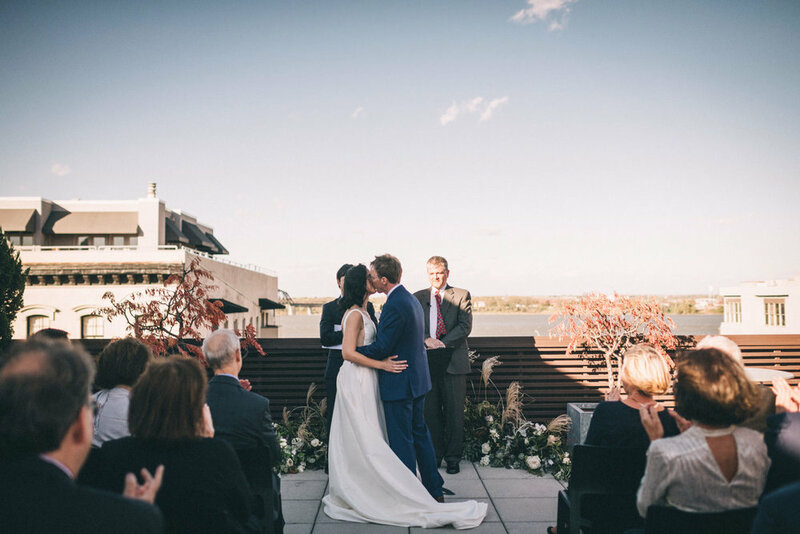 If you are after more art museum vibes then Jessica & Ethan's modern Speed Art Museum wedding would fit the bill. Also, it has now come to my attention that people named Jessica have amazing weddings. Now you know!